Good news for all Indonesian, Nokia Indonesia now open registration of an event to trial The Brand New Nokia Lumia 920. If you are Indonesian, live in Indonesia and you are interesting to trial this Nokia Lumia 920, you can join this trial event but you must register first and fill your personal data correctly. Only The selected participants will join this event. During the event, the selected participants will be lent Nokia Lumia 920 for certain hours to try all the best features of Nokia Lumia 920. The selected participants needed to tweet about Nokia Lumia 920 best features with hashtags #switchtolumia, take pictures and videos with Nokia Lumia 920. 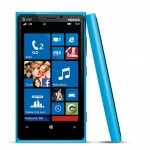 The Nokia Lumia 920 show up is also available during Microsoft Windows 8 Event at Mall Taman Anggrek Jakarta. 26-28 October 2012. When will the registration be closed? And when will it be announced? When is the event? Thanks! Happy to see some Indonesian that is also waiting for this device, though price is quite a big problem in Indonesia.